Brownies. Oh Brownies. Anyone who knows me, knows my affinity for sweets and more specifically, chocolate. 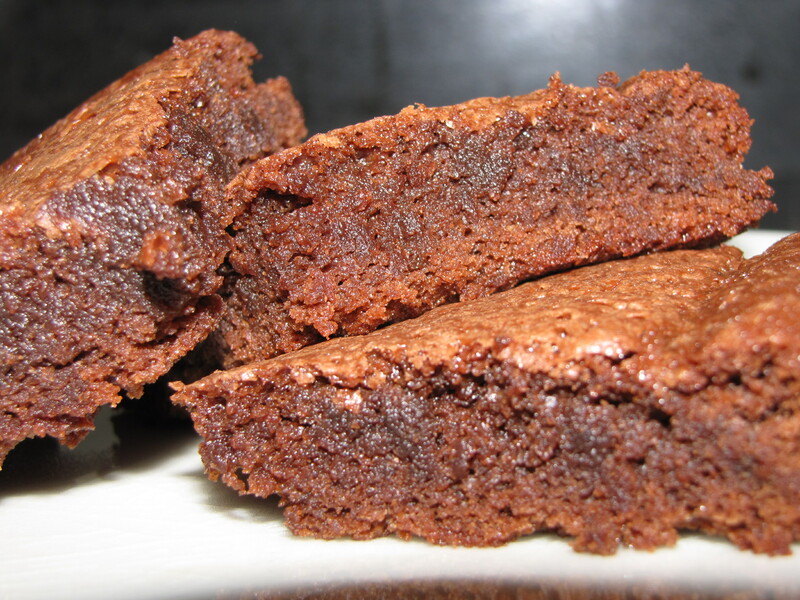 And at the very top of my favorite things of all time is the corner piece of a brownie, the fudge-y kind, not cake-y. 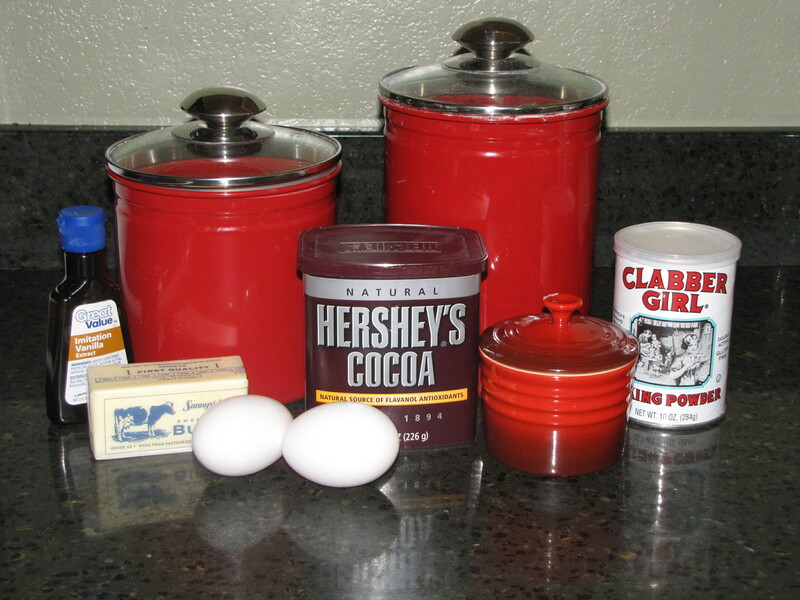 I’m famous for a few different great brownie recipes using unsweetened chocolate but found this when a sweet tooth attack hit and the only thing that resembled chocolate in my pantry was a tub of cocoa powder that I normally use for hot chocolate. I have to say, while slightly less attractive on the top, they tasted just as great. But if you’d like, make the frosting to go on top and then they will be beautiful. It is my opinion that if a brownie is moist and chocolate-y enough, there is no need to put frosting on it. That, and I was out of powdered sugar. Preheat oven to 350 degrees. Grease and flour (or coat well with cooking spray) an 8 inch square pan. In a large saucepan, melt butter. Remove from heat, and stir in sugar, eggs, and 1 teaspoon vanilla. Beat in cocoa, flour, salt, and baking powder. Spread batter into prepared pan. Bake for 25 to 30 minutes. Combine butter, cocoa, honey, vanilla, and confectioners’ sugar. Frost brownies while they are still warm.